8/2/18. 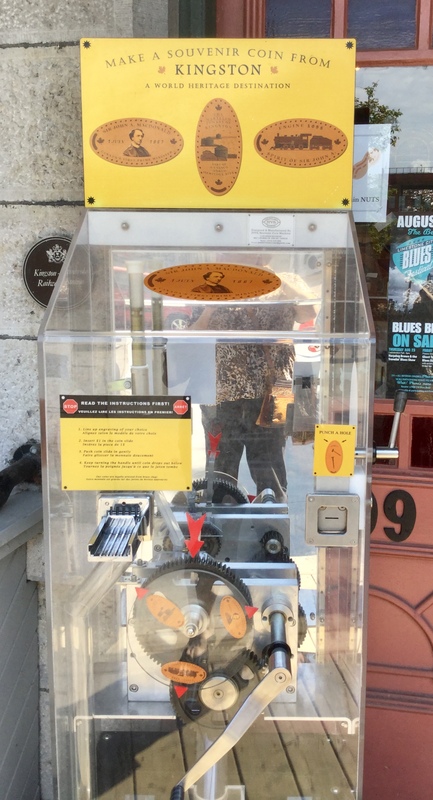 This machine sits outside the entry door of this visitor center. This is the site of the Kingston and Pembroke Railway station. There are 3 designs and the machine is preloaded with brass slugs. Each press/design costs 1 Loonie ($1 Canadian).